I've got 5 main wishes for 2011 which I think will make my GF life so much better. 4. More varieties of pasta to buy in the supermarkets. 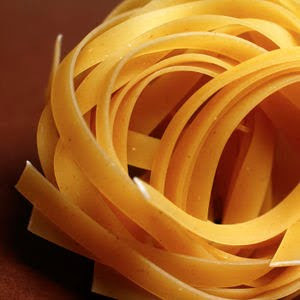 i.e Tagliatelle. 5. Genius bread (now that it is so popular and in every supermarket) to come down in price! Oh yes, and I'd add that restaurants actually having items in stock if they advertise them, eg, GF pasta. I've ben to several places that say they have it on their menu, but have 'run out' - huh! Agree with all of those! Especially the Genius bread one! Wonder how much warburtons will be and if it will be as good. Something that I wish for is some sort of lunchtime food that can be bought and eaten on the go that isn't a sandwich or a pasta salad! Either that, or a few more outlets to start using G-F pasta etc. Hey Amanda - yes that's very convenient for them isn't it! The worst culprit this year was the place that said I needed to give them 24 hours notice to make me a gluten free pizza base - which really spoiled a much anticipated pizza night at home. I maybe wouldn't have minded so much if the base was fresh and tasty! Fran and Tim - I am expecting the Warburton's one to be v expensive due to the fact that they've had to build a unit especially to make it! Agreed about the lunchtime food. My pet hate is when they put pasta into every single lunchtime salad! (Tesco are the worst culprits). How about a nice rice or quinoa salad?! Yes to the quinoa salad! That would be brill! By the way have you spotted that M&S are doing a few things GF as standard now - got the tip off from a friend who works in the food industry. Picked up some chipolatas in bacon the other day for Christmas dinner.